s3pe can be used on CASP resources in a package, both to view the data in the resource and to modify it using the Grid tool. 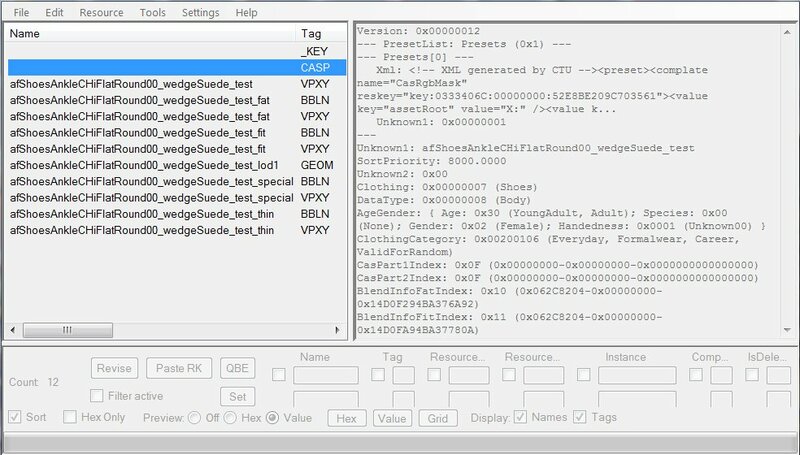 With s3pe it's easy to enable/disable clothing for clothing categories (Everyday, Formal, etc. ), for age/gender, for game usage (valid for maternity, valid for random), change the type of an accessory, change clothing to accessory and vice-versa, etc. 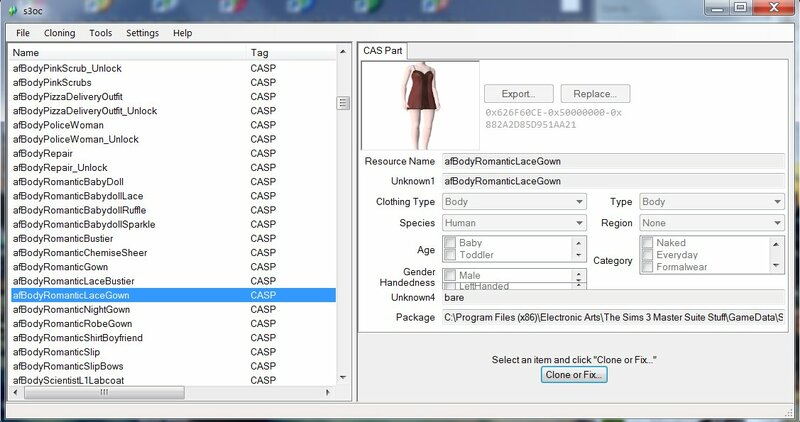 s3oc can be used to clone CAS parts from the base game and any/all expansions and stuff packs installed on your computer. 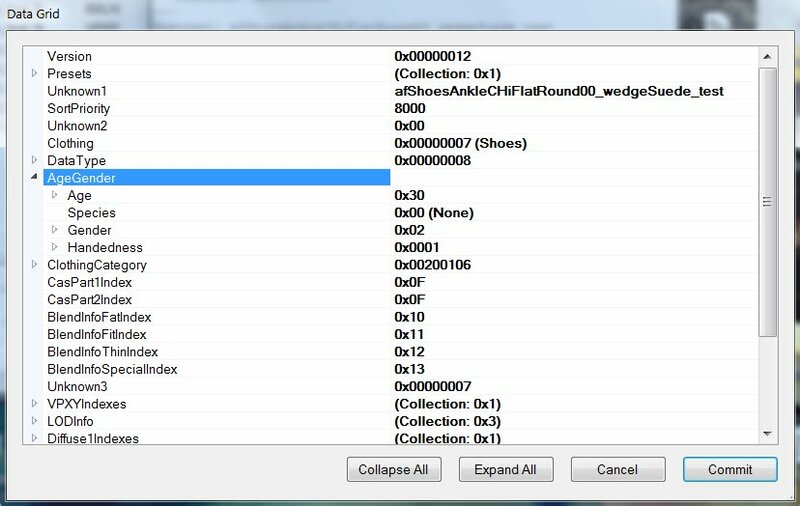 It can automatically change the part TGI numbering for new custom content, or leave it unchanged for default replacements. Cloned packages can then used as a base for new meshes, recolors, etc. I'll take suggestions for more specific tutorials as well as (of course) questions on this one.